Apple managed to avoid paying $65.08 billion in U.S. taxes last year by keeping $218.55 billion offshore, according to a study produced by an activist group and a non-partisan think tank. The sums made Apple the biggest avoider of corporate taxes in the U.S., said Citizens for Tax Justice and the Institute on Taxation and Economic Policy, quoted by the U.K.'s Daily Mail. The organizations noted however that three quarters of Fortune 500 companies used offshore tax havens, cumulatively funneling $2.42 trillion and dodging $715.62 billion in American taxes. The top 30 U.S.-based companies ranked in the study operated 2,509 subsidiaries in tax havens. Following Apple, the next biggest offshore holder was pharmaceutical giant Pfizer, which relied on 181 subsidiaries to funnel $192.57 billion in income. "The hard fact is that the US tax code incentivizes tax haven abuse by allowing companies to indefinitely defer taxes on offshore profits until they are 'repatriated'," argued the Institute on Taxation and Economic Policy's Matthew Gardner. While the U.S. is Apple's home and its most important market, most of the company's revenues and cash reserves have been kept overseas. The iPhone maker has refused to repatriate those reserves unless it's granted a "tax holiday" reducing the amount of money it owes. As for revenues, for years Apple has funneled billions from various countries through its Irish subsidiaries, exploiting loopholes to pay extremely low tax rates. The arrangement eventually drew the scrutiny of the European Commission, which in August ordered Ireland to collect $14.5 billion in back taxes. 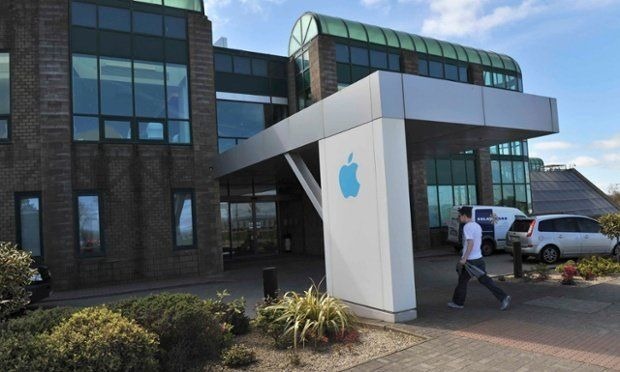 Both Apple and the Irish government have vowed to fight the decision —the latter has been working to close some of the loopholes, however.